Tinkers Clough is a haven of peace and quiet, a damp wooded area in a deep valley providing a home for a wide variety of flora and fauna. A path was built through the Clough very many years ago but there was then little care and maintenance. 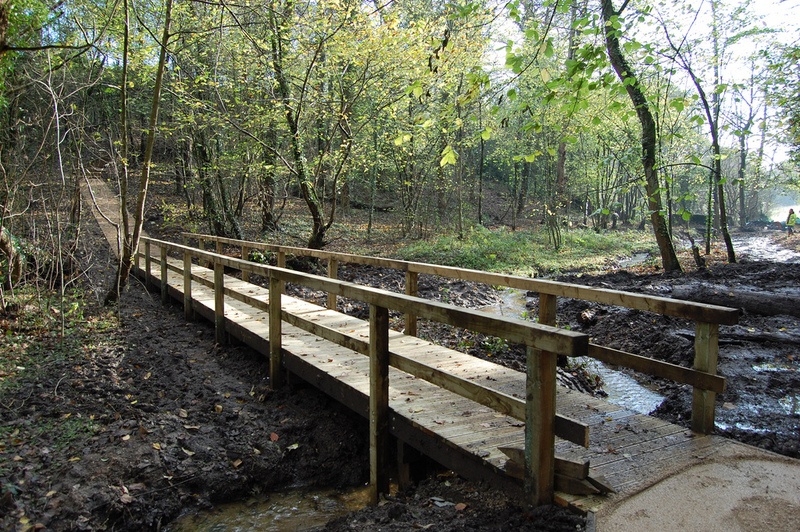 Bollington Initiative Trust (BIT) has restored the Clough , returned it to public use and maintains access, so this delightful piece of wilderness is now back in community hands via the auspices of BIT. 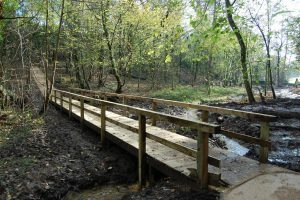 It is publicly accessible from the towpath end of bridge 28 and from Clough Bank, which is off Grimshaw Lane, Bollington. The Macclesfield Canal breached at Tinkers Clough during the night of 29 February 1912. Tinkers Clough is identified as a Site of Nature Conservation Importance – development which would adversely affect such designations will not normally be permitted.